This quilt is another submission into the Blogger's Quilt Festival, hosted by Amy Ellis of Amy's Creative Side. From the first time I saw the Maypole quilt by Suzy Quilts, I knew that there was one in my future. I love the modern look of this quilt made in solids, but this one is for my new granddaughter and I wanted to add some fun prints. The Lil' Red line by Stacy Iest Hsu for Moda is a favorite of mine. I used one print on the front and another for the backing. 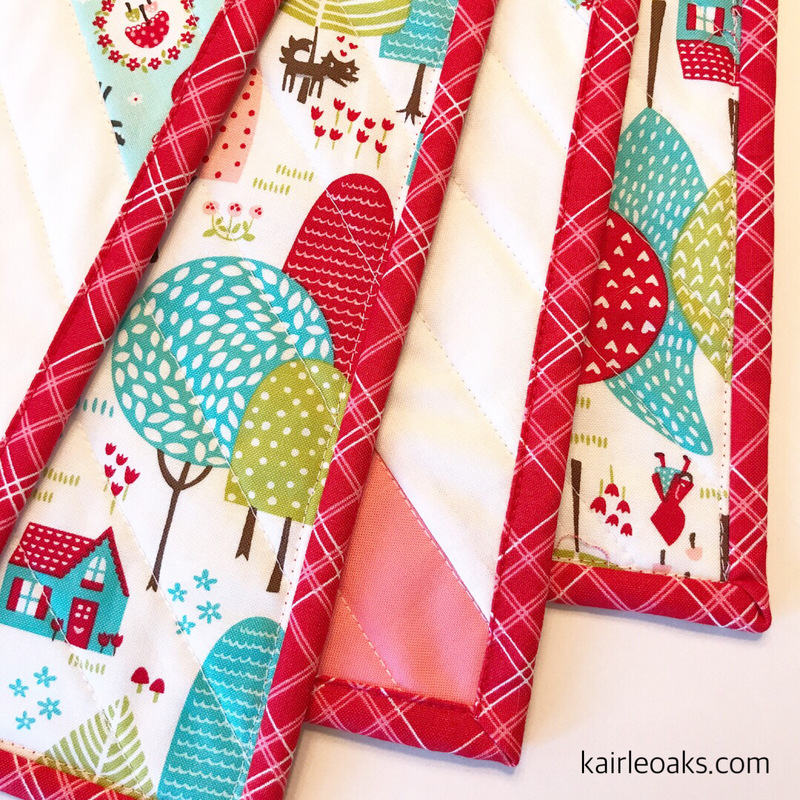 This red plaid fabric that I used for the binding is by Lori Hold for Riley Blake. I've used this fabrics for several different bindings, and it never disappoints. 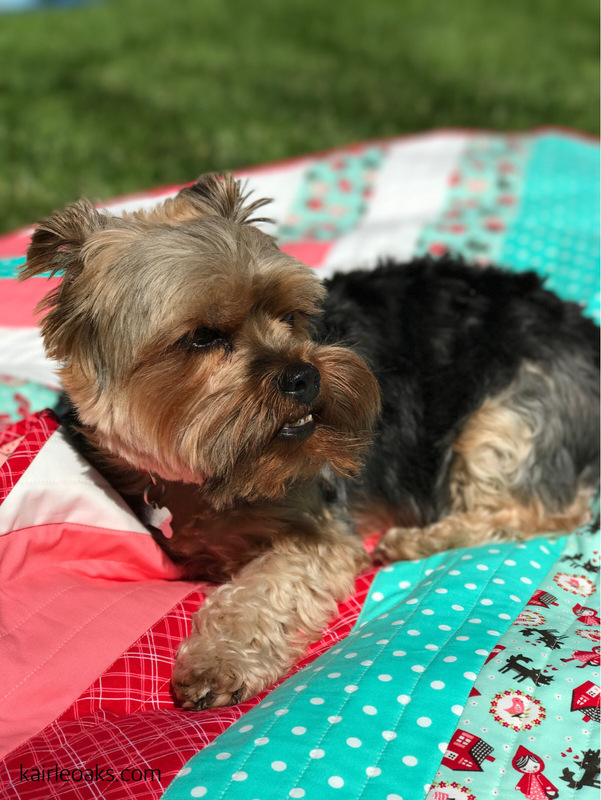 I'm happy for a quilt tester who is always willing to help me out in a pinch. Bruno's definitely my guy! Love your colour choices for this quilt design. It looks great! Thanks! I'm hoping that it will be a favorite of my granddaughter's. Love the colours and the Red Riding Hood prints are so lovely!! This is just so cute! The big piecing is a perfect choice for these prints! Thanks! The big pieces also made it a quick quilt to make. Such a pretty quilt, love the fabrics you used! Thanks, Pamela. I'm really happy with how it turned out. Wonderful pattern, looks great with these fabrics. 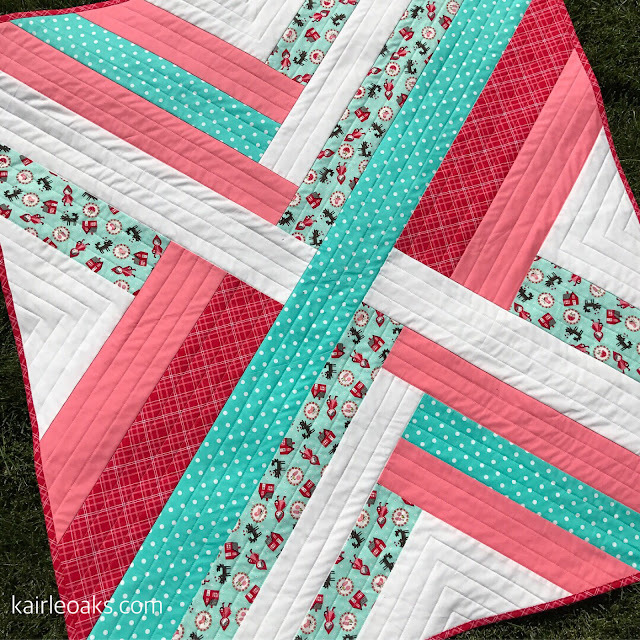 I love your straight line quilting, it goes perfectly with this quilt. So pretty! such a fun bright quilt. Great job. This is such a happy quilt in the prints. Perfect binding, that is my goal one day. LOVE the woven nature of your quilt design! It's a great pattern and goes together quite quickly. You can find it at suzyquilts.com. Beautiful quilt, neatly quilted. Love the dark red binding. Thanks so much. The binding fabrics is one of my favorites.